The App Association represents more than 5,000 app companies and information technology firms in the mobile economy. The organization advocates for an environment that inspires and rewards innovation while providing resources to help its members leverage their intellectual assets to raise capital, create jobs, and continue innovating. For free counseling by some of the most dedicated experts in the world, this link will take you to the Association of Small Business Development Centers website, where you can locate a small business development center near you. Bplans.com is owned and operated by Palo Alto Software, Inc. as a free resource to help entrepreneurs plan better businesses, and contains the largest single online collection of free sample business plans. 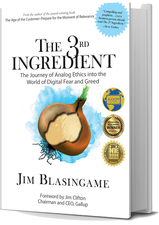 In addition, it has helpful tools and know-how for managing your business. BNI, the largest business networking organization in the world, offers members the opportunity to share ideas, contacts and most importantly, business referrals through a structured, positive, and professional "word-of-mouth" program that enables them to develop long-term, meaningful relationships with quality business professionals. Ex-Im Bank's mission is to assist in financing the export of U.S. goods and services to international markets. Ex-Im Bank provides working capital guarantees (pre-export financing); export credit insurance; and loan guarantees and direct loans (buyer financing). On average, 85% of Ex-Im Bank's transactions directly benefit U.S. small businesses. 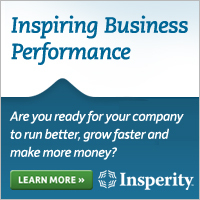 Insperity, a trusted advisor to America’s best businesses for more than 25 years, provides an array of human resource and business solutions designed to help improve business performance. Insperity Business Performance Advisors offer the most comprehensive Workforce Optimization solution in the marketplace that delivers administrative relief, big company benefits, reduced liabilities and a systematic way to improve productivity. Additional offerings include MidMarket Solutions, Performance Management, Expense Management, Time and Attendance, Organizational Planning, Recruiting Services, Employment Screening, Retirement Services, Business Insurance and Technology Services. NetChoice is a coalition of trade associations, eCommerce businesses, and online consumers, all of whom share the goal of promoting convenience, choice and commerce on the Net. For free counseling by volunteer business executives this link will take you to the SCORE website, where you can locate a SCORE chapter near you. SCORE volunteers are Counselors to America's Small Businesses. The Small Business and Entrepreneurship Council (SBE Council) is a 501c(4) advocacy, research and training organization dedicated to protecting small business and promoting entrepreneurship. The organization works to educate elected officials, policymakers, business leaders and the public about key policies that enable business start-up and growth. Through advocacy, research, training and education, SBE Council members and staff convey the importance of entrepreneurship to job creation, innovation and economic growth. SBE Council is viewed as one of the most powerful and effective organizations dedicated to promoting entrepreneurship. Since its founding on July 30, 1953, the U.S. Small Business Administration has delivered millions of loans, loan guarantees, contracts, counseling sessions and other forms of assistance to small businesses. SBA provides assistances primarily through its four programmatic functions: Business financing, Entrepreneurial development, Government contracting and Small business advocacy.